Purchase College–SUNY will present A Reading & Conversation with Porochista Khakpour on Thursday, April 19, 2018, at 4:30 p.m. Featuring one of today’s most critically acclaimed and popular writers, the program is free and open to the public. It will take place in the Humanities Theater at Purchase College (735 Anderson Hill Road, Purchase, NY) and is a presentation of the Durst Distinguished Lecture Series, which brings leading writers to Westchester. 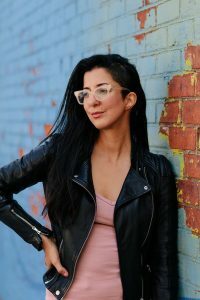 Porochista Khakpour is the author of two novels and a forthcoming memoir, Sick (June 2018, Harper Collins). Her debut novel, Sons and Other Flammable Objects, was a New York Times “Editor’s Choice” and won the California Book Award. Her second novel, The Last Illusion, was chosen as one of the best books of the year by NPR, Electric Literature, Kirkus, PopMatters, and others. For more information, please visit: https://www.purchase.edu/live/events/9009-a-reading-and-conversation-with-porochista or call 914.251.6550.